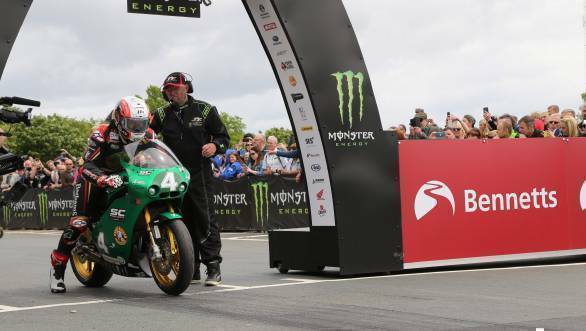 It was a start-to-finish victory for Michael Rutter at the Isle of Man TT's Lightweight Supertwins race on Wednesday. 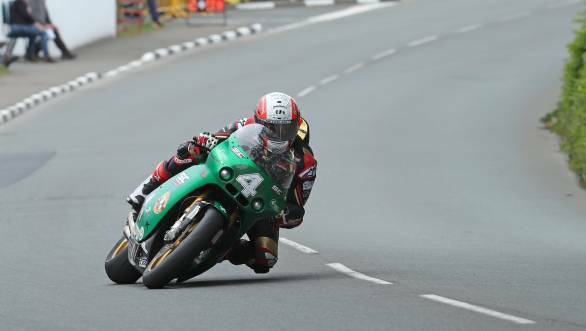 45-year-old Rutter claimed victory by 8.8 seconds astride his Paton. It was Rutter's fifth TT win. His other race wins at the TT include three TT Zero wins and one Supersport win. Second place went to Martin Jessopp, while Peter Hickman took third place. The podium was Hickman's fourth of the week. It's been a good week for the rider who never had a single podium finish at the Isle until the 2017 season - where he's already notched up two second-place finishes and two third positions (including this one). Rutter's time was 7.4 seconds faster than the previous record that had been set by Ivan Lintin. During the early stages of the race, however, it was Italian rider Stefano Bonetti who was second. However, Bonetti would eventually retire at Creg Ny Baa. Fourth place went to Lintin, while fifth place went to Daniel Cooper. Joshua Brookes took sixth place, while Michael Dunlop finished seventh. Eighth place went to James Cowton, while ninth place went to Michael Sweeney, with Jamie Hodson rounding off the top ten.